What is Papal Infallibility? First of all, let’s start with the purpose of infallibility: “It is the Magisterium’s task to preserve God’s people from deviations and defections and to guarantee them the objective possibility of professing the true faith without error... To fulfill this service, Christ endowed the Church’s shepherds with the charism of infallibility in matters of faith and morals.” (Catechism, 890). Infallibility just means that certain teachings of the Catholic Church are guaranteed to be without error—not that the Pope is correct every time he states his personal opinions or that he is unable to commit sin. The charism of infallibility is fully engaged only in definitive Magisterial teachings on faith and morals. This can occur in either Ordinary teachings or Extraordinary teachings. The Magisterium is the teaching office of the Catholic Church. It is exercised by the Pope alone when he teaches officially, OR by the whole “College” of Bishops together with the Pope. The College of Bishops also has an “ordinary and universal” Magisterium. This is seen whenever the individual bishops teach the same faith; that is, in union with the Pope and each other. It’s also seen when an Ecumenical Council teaches definitively but without issuing a solemn definition. Occasionally, the Magisterium issues extraordinary definitions of doctrine. 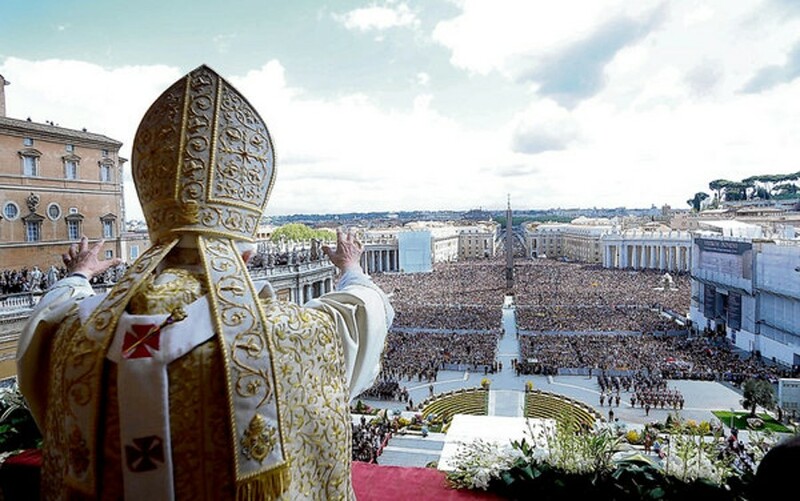 This occurs when the Pope teaches ex cathedra, officially and solemnly defining some truth of the faith. The official and solemn definitions of ecumenical councils (such as the Council of Trent, the First Vatican Council, etc.) are also extraordinary pronouncements. Remember, it is the definitive teachings of the Magisterium that are considered to be infallible. This usually means that they explicitly state they’re defining some matter of the faith, or put forth a position as to be definitively held. However, some things that are taught repeatedly by the Magisterium can also be considered definitive, even if they’re not explicitly named to be such. The Catholic Church uses its charism of infallibility to give the faithful clarity and certainty about morality and the faith itself. As such, Catholics are required to give the “assent of faith” to such teachings. This means that our faith in them rests directly on our faith either in the Word of God, or in the Holy Spirit’s real and active assistance in the Magisterium. You’ve probably heard a very common myth that infallibility has only been used a few times. That is not the case! It’s true that the Pope has exercised only rarely his own extraordinary power of defining the faith. But ecumenical councils have issued many extraordinary definitions over the years. And both the Pope and the full college of bishops have issued very many definitions in the course of their ordinary Magisterium. And, of course, infallibility hinges on whether a teaching is definitive, regardless of whether it’s ordinary or extraordinary. The main job of bishops is to teach the Gospel. They do so with a special assistance of the Holy Spirit so that we may hear a faithful, accurate proclamation of the one true Faith. Although individual bishops may err in their official teachings about faith and morals, the Magisterium as a whole never does. Nor does the Pope, by nature of Christ’s special creation of Peter’s Office as one that “confirms the brethren” in the Faith. Frequently, the Magisterium sees fit to define some point of doctrine so that we can see, understand, and hold it with great clarity. These definitions are infallible, and Catholics MUST believe them with the assent of faith. But much of the time, the Magisterium teaches without making such definitions. Are we free to ignore these teachings that are not infallible? Not at all! We must believe these teachings, too, although a lesser degree of belief is required. The technical expression is “a religious submission of mind and will.” This is less than the absolute assent of faith, but it still means that we must honestly strive to understand and accept these teachings. As a practical matter, we should assume that even the Church’s non-definitive teachings are correct. They are still made with the assistance of the Holy Spirit, although not to the degree that guarantees that they’re free of error. We should have very compelling, objective reasons before challenging such teachings. (And please note that the most frequent topics of dissent are not in this category! Topics like contraception, abortion, divorce, and homosexuality are all addressed by definitive Church teachings.) Also remember that we tend to prefer our own flawed opinions, rather than admitting that we have to change. This call to change is the hard and unending work of Christian discipleship. It’s known as conversion. Christ has given us an extraordinary gift in the Catholic Magisterium. It is the means by which Christ ensures that the light of His saving Gospel will shine on every generation. When the Church teaches infallibly, it gives us great light and clarity. But even in its non-definitive teaching, the Church still shines with the clear light of truth—a light that is far stronger than the darkness of the world.